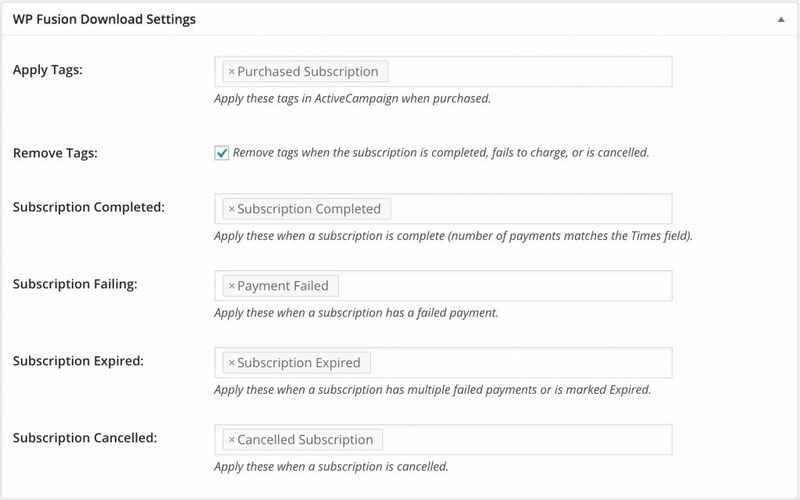 If you’re using the EDD Recurring Payments extension, WP Fusion provides additional options for triggering events based on changes in a user’s subscription status. You can then use these tags to trigger automation sequences in your CRM to remind users to update their credit card information, offer discounts on subscription renewals, or anything else you like. For more granular control, WP Fusion also lets you apply tags when a subscription status changes for a specific price variation. See the screenshot below for an example.